I’ve already managed to put up a couple of reviews this month (which constitutes a good month at the moment! ), so I thought I’d continue my weekly trend, this time with bite-size reviewettes of the other books I’ve got through in May so far. Shall we? The novel consists of many chapters, each having its own voice, told by one of the characters (or a drawing…). It’s an interesting way to tell a story, especially as the murderer actually has two voices – his real character, and that of ‘the Murderer’. It makes for an intriguing tale, but I didn’t really love this book. I was never really able to lose myself in the story, partly because of the, at times, slow pace, but perhaps more due to the unfamiliar setting which (to be honest) didn’t really interest me that much. 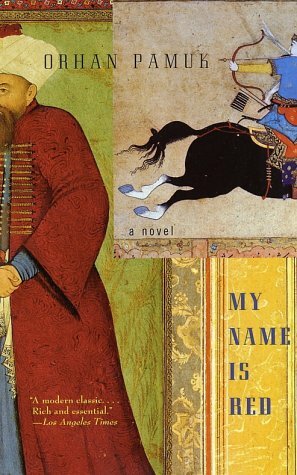 As a tale of masters of a dying art form struggling to cope with the inevitable overthrow of their way of life, it is a fascinating story – I’ll need another example of Pamuk’s work before I can really say whether I like his style though. 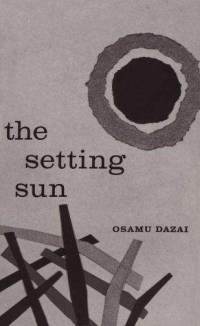 The Setting Sun by Osamu Dazai (translated by Donald Keene) is, as I’m sure you can guess, a little more in my line. A fairly short novel, it tells the tale of Kazuko and her family, Japanese minor nobility who have descended in the world following the death of the father, and the financial strains caused by the aftermath of the Second World War. Kazuko and her mother move away from Tokyo in order to stretch out their meagre reserves, but their lives are turned upside down again by the arrival of Kazuko’s brother Naoji, believed lost in the Pacific War. Far from this being a happy family reunion, however, it is merely the start of a final freefall into poverty and distress. I’ve read a lot of Japanese fiction over the past few years, but most of it has been set either before or after WWII, and I have the feeling that there isn’t as much literature dealing with this time as is the case in Germany (where it’s virtually its own genre…). While it’s possible that I just haven’t found these books yet, even Mishima’s The Sea of Fertility Tetralogy, which spans fifty years between 1920 and 1970, conveniently skips the war years completely. The Setting Sun then is a welcome insight into post-war Japan and the problems people had in adjusting to a new style of life and government. The old aristocracy has lost its importance, the Emperor is not longer a deity, and Americans roam the streets of the conquered people (albeit very much in the background). Praise reminds me a little of Helen Garner’s Monkey Grip, and could be seen as making a similar account of early-nineties Brisbane to the one Garner’s novel made of mid-seventies Melbourne. I’d have to say though that it doesn’t do it nearly as well. I liked 1988, with its subtle, psychological undertones, a story of a city boy stuck in the middle of nowhere and forced to face up to his inadequacies. On the other hand, Praise just felt like a detailed list of one person’s sexual exploits and drug-fuelled indiscretions over a particularly unproductive period of his life. I got through it fairly quickly, and, although I enjoyed reading it, I was happy to move onto something else – and not much of the book has stuck in my mind. My Name is Red sounds fantastic – thanks for putting up on my radar. The Setting Sun looks suitably melancholic. I still haven't read any more Dazai after No Longer Human but am planning to at some point. I did try and read My Name is Red after a friend recommended it but I couldn't get past the first few pages so have opted to return to it one day. The premise sounded really interesting as it's a mystery set in a world I'm unfamiliar with. Talking about Japanese fiction set during and just after WWII, you're right in that there doesn't seem to be much written by Japanese authors set during this period. 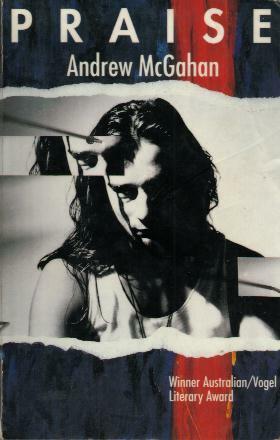 But have you read David Peace's Tokyo Year Zero? It's disturbing and uncomfortable reading but quite brilliant. Everyone says Pamuk's books are hard work. I'm now very intrigued especially coming from a revered literature critic like yourself! I have “My Name is Red” and “Snow” on my shelf. Perhaps I need to get going with his books to see how I feel about it. Maybe not at this moment, still recovering from a reading slump. Thanks for the beautiful review. Man of la Book – No worries 🙂 I plan to read 'The Museum of Innocence' soon, so I hope that will be even better! JoV – This was my first Pamuk, and it was hard work – I didn't really feel a 'flow', and it dragged at times. However, there was enough there to make me want to try something else of his. Not the thing to try if you're in a reading slump though! The White Earth doesn't sound much like Praise or 1988. Its not an urban novel for a start, it is set West of the Blue Mountains, and is really concerned with the claim of white settlers to own the land. It works very well as a novel, quite unsettling in fact. That sounds good – I'll have to give it a go (after the million other books I have lined up!). I've been window shopping Pamuk's My Name is Red for some time now. The synopsis has always intrigued me but I will perhaps just be careful picking my timing/mood for it, given your experience. Cheers. It's definitely one to be wary of – a good book, but not one for everyone (or for all times). Just browsing your site for the first time – lots of intriguing books reviewed. Am also intending to read The Museum of Innocence this year, and it will be my second Pamuk also. You were obviously happier with it than I was! I think 'My Name is Red' was the wrong one for me as I didn't feel a great interest in the subject matter. I still haven't followed up with Pamuk(! ), but I would like to try something a little more contemporary, either 'The Museum of Innocence' or 'Snow'.